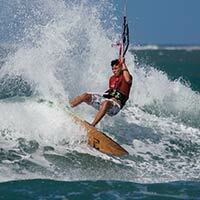 Take the next steps on from being a beginner kiteboarder. Understand and learn the tricks and techniques that every intermediate is striving for - Jumping, Toeside Riding and Carving Turns. We’ll teach you how to make the most of lightwinds and strong winds with key kite and board techniques. Get tips on how to get out over waves and understand how to better tune your kite to get the most from it. Please confirm that you'd like Progression to email you when the new Intermediate Volume 1 Collection is available to purchase? You currently have an notification setup for the new Intermediate Volume 1 Collection and Progression will send you an email to let you know when it is available to purchase.